MMS faculty members were in the first group of educators nationwide to be trained for the Wilson Reading System, 4th Edition. 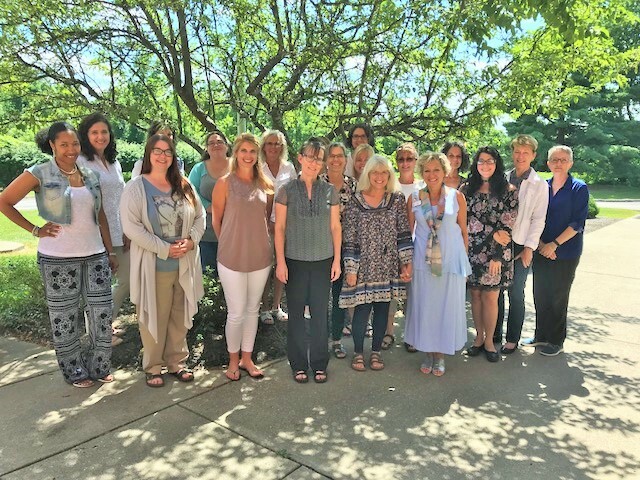 Five teachers from our school (Alasha Al-Qudwah, Jennifer Carriger, Lindy Hoeft, Kathryn Rhoads and Darlene Spangler) completed the three day Wilson training on July 16-18, which was hosted The Appalachian Reading Center at the South Charleston campus of Marshall University. The program was led by Lori Josephson, an educational consultant and teacher trainer. Wilson is a multi-sensory, research-based reading and spelling program based on Orton-Gillingham that supports students and adults with dyslexia and other learning differences. By participating in ongoing professional development opportunities, MMS faculty learn from and connect with national experts and peers and bring the latest research and best practices back to our classrooms. Thank you, teachers, for your dedication and commitment to providing a world class learning experience to our students!